Chandigarh: Punjab state assembly today discussed the report of Justice Ranjit Singh Commission. Shiromani Akali Dal (Badal) staged walkout taking a plea that they were being not allotted enough time. 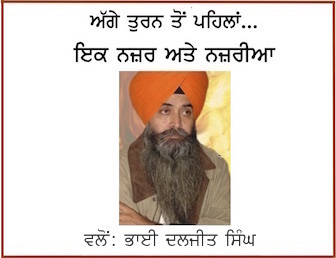 It is notable that senior leaders of SAD (Badal) are indicted in Justice Ranjit Singh Commission’s report for their role in getting Dera Sauda Sirsa chief Gurmeet Ram Rahim pardoned by SGPC appointed Jathedars; for shielding Dera Sauda Sirsa followers who committed beadbi of Guru Granth Sahib in Buraj Jawahar Singh Wala, Bargari, Gurusar & Malke and for police firing in Kotkapura and Behbal Kalan village- where two Sikhs were killed by police in unprovoked firing. MLAs belonging to the ruling Congress party and opposition Aam Aadmi Party (AAP) strongly condemned SAD (Badal) leaders for their role as detailed in Justice Ranjit Singh Commission’s report. Punjab CM Capt. Amarinder Singh termed former Punjab CM Parkash Singh Badal a “cowered” and said that he was responsible for ruining the Punjab. Towards the end of house proceedings minister Tript Rajinder Singh Bajwa read out a resolution discarding CBI investigation in Beadbi cases and the proposal of handing over Behbal Kalan police firing incident to the CBI. The resolution proposed formation of a Special Investigation Team to investigate the matters (beadbi cases and firing incidents). The opposition Aam Aadmi Party demanded that such SIT should be commanded to complete the investigation in a time bound manner. After the house unanimously passed the resolution, Punjab CM Capt. Amarinder Singh said that he will ensure that SIT completes its investigation in a time bound manner. 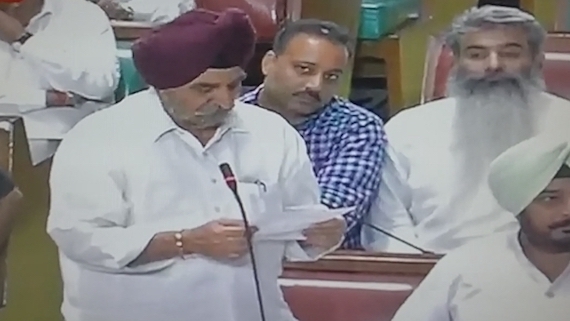 Earlier during the debate, cabinet minister Tript Rajinder Singh Bajwa termed former Punjab DGP Sumedh Saini as a killer and narrated the details related to murder of Advocate Kulwant Singh of Ropar, his wife and their infant daughter, massacre of Balwinder Singh Jatana’s family and killings of two members and driver of a Ludhiana based business family, which own Saini Motors. He said that Sumedh Saini was responsible these heinous crimes adding that the Indian Judiciary, from bottom to top, failed to punish Sumedh Saini. He said that judges even violated basic norm of judiciary to remain impartial and protected a killer person like Sumedh Saini. He said that he was being told by many to not to name Sumedh Saini in Punjab state assembly as he was a ‘dangerous person’. He warned bureaucrats and police official against taking favour of Sumedh Saini. He said that many officials were asking that who could arrest Sumedh Saini; adding that he who want to be or remain as DGP of Punjab will have to arrest Sumedh Saini. Proceedings of Punjab state assembly today saw Congress MLAs raising Jakaras of Bole So Nihal multiple times. When Capt. Amarinder Singh stood up to speak Congress MLAs raised five Jakaras but Capt. 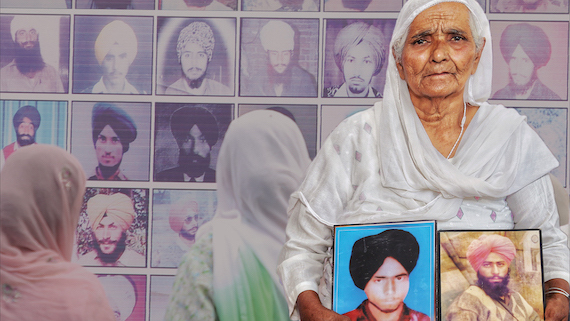 Amarinder Singh advised them against Jakaras before starting his speech. “I want to tell my friends that Jakaras are not raised in the house”, said he. * This news was originally published on August 28, 2018 at 20:59 IST. Last updated at August 28, 2018 at 21:48 IST.